My father’s family had come from the Abruzzo region of Italy just a century ago. I don’t know why but I felt beholden to get there. My father came from a family of people who cooked polenta and made red wine, were absolutely loyal to family members and kept a polite distance from strangers. I was told a few had returned to Abruzzo after living in the USA for just a year or two. En route from Rome, I drove through mountain tunnels and on roads set atop tall pillars. 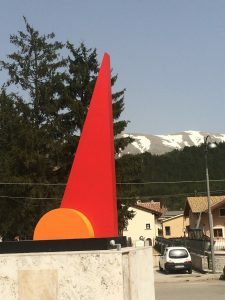 Once in Abruzzo, I gawked at snow-capped mountains even while driving around double hairpin curves. 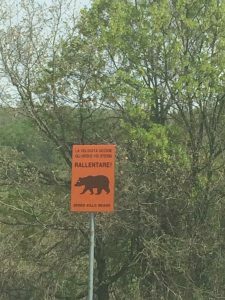 I stopped to photograph a bear crossing sign and a three-foot green lizard scurried across the road. Every so often, I skimmed past a fluffy cow grazing along the steep and narrow mountain roads. In Pescasseroli, I studied a hammer and sickle political poster and admired a vivid, red Art Deco sculpture. At the small church of St. Lucia. I recalled my great grandmother’s name, Maria Lucia. 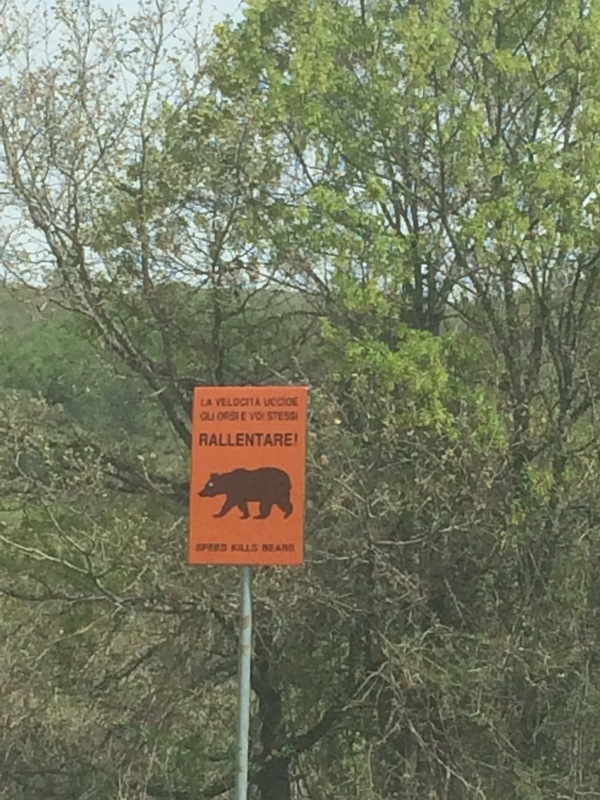 A bear (orso bruno) lumbered about the zoo there; I didn’t see any on the road. After a slice of pizza, I left that mountainside town, eager to explore more of Abruzzo.